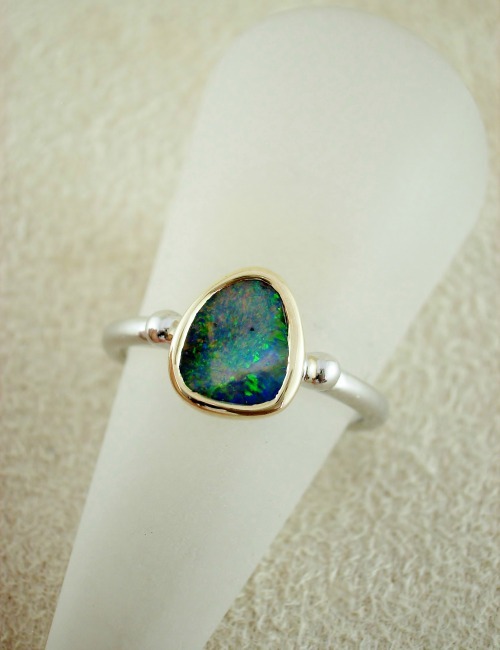 This Opal ring has a solid boulder opal that glistens with pink, green and blue like a galaxy of stars. 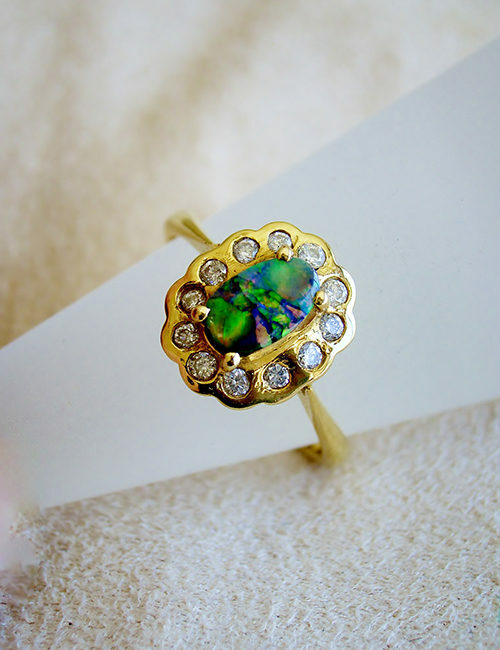 It is set with 9ct yellow gold surrounding the opal and an anti tarnish sterling silver band. 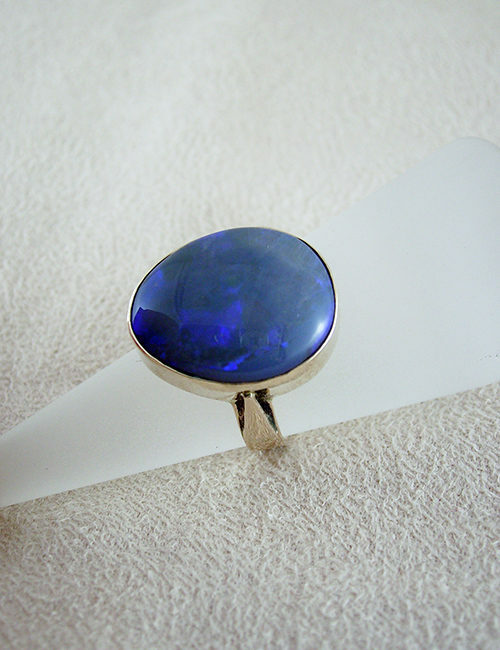 The freeform shaped opal measures 8mm x 7mm. the ring is a size 7.